Since its introduction in 1976, the federal historic tax credit has become a primary impetus of real estate investment and community revitalization in historic city areas. Our team has handled all types of tax-driven real estate investments, including historic rehabilitation tax credit transactions. 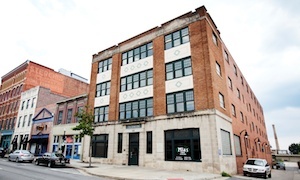 As our economy begins to recover, the need for expert counsel in this area will continue to grow as smart investors take advantage of the opportunities afforded by historic tax credits – such as the $7.0 million Dannenberg Project in downtown Macon, Georgia. This complex redevelopment project required expert guidance and proactive involvement in order to take advantage of a Community Development Block Grant (CDBG) that unexpectedly became available. Because we also practice in the related areas of commercial real estate, public & affordable housing and corporate law, SPGG takes a multidisciplinary approach to each client’s unique legal needs. We can assemble a team of attorneys with the specific expertise to help ensure the success of your investment and to take full advantage of the opportunities offered by historic tax credit regulations. Make an appointment to learn how SPGG can help maximize the potential returns on your real estate investment.